Learn how to transform plants into natural inks for drawing and writing with, using dipping pens and quills. 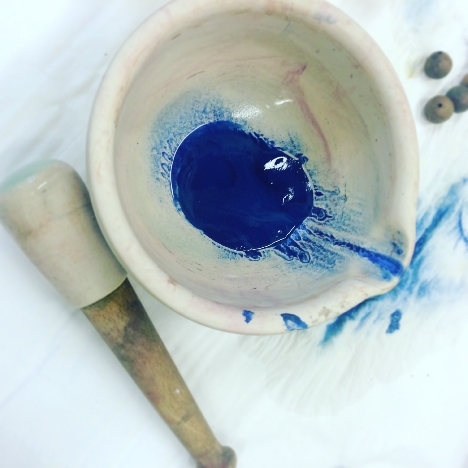 In this ink-making class a selection of traditional plant dye materials and local, seasonal flowers and plants will be used to create a selection of natural coloured inks. A set of blank cards and envelopes are provided for each person to embellish with the inks, along with a range of papers for sampling with. Botanical Inks is a natural dye studio based in Bristol, founded by botanical artist/designer Babs Behan. Offering small-scale natural dyeing services for designers and businesses, and a platform for re-skilling creative communities with local plant knowledge and contemporary traditional "low-impact" surface application techniques. We teach people to forage for local colour-producing plants and use a variety of dye and print processes, without the use of any toxic synthetic chemicals or heavy metals. Prioritising the use of local, organic, ethically sourced and manufactured materials, such as dyes from local organic farm and food waste, locally grown and manufactured wool, organic British peace silk, recycled British paper and vintage or second-hand garments and textiles. As part of a sustainable creative practice, inspired by closed loop design principles and the Fibershed model.